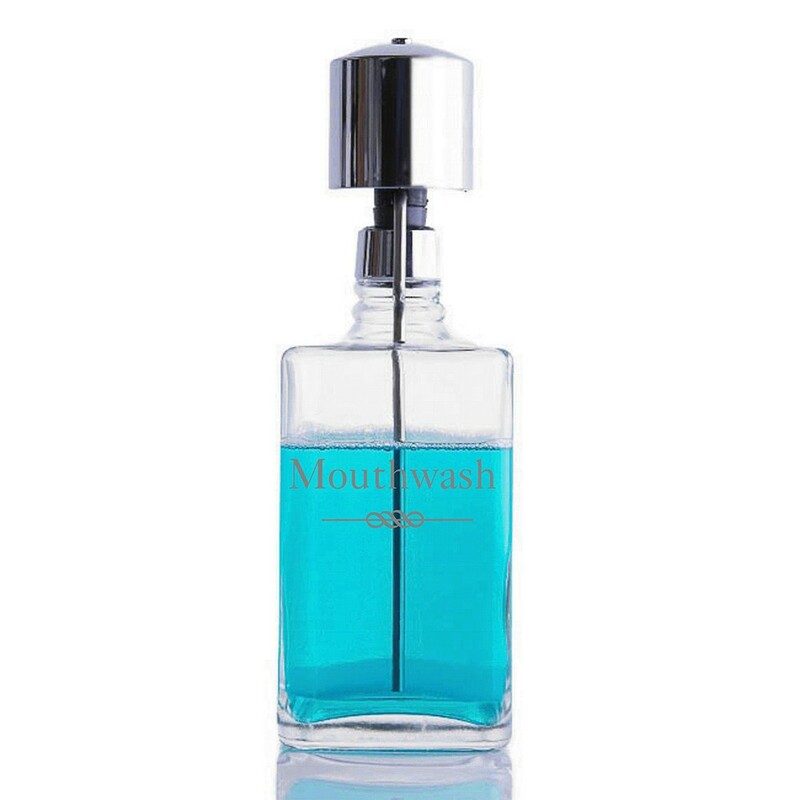 Voted Best Mouthwash Dispenser*The Perfect Measure Crystal Mouthwash Dispenser with Chrome Pump is an elegant addition to your bathroom. 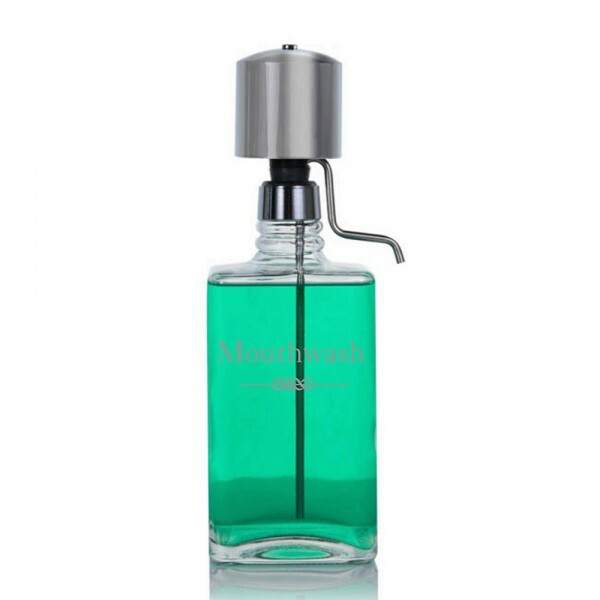 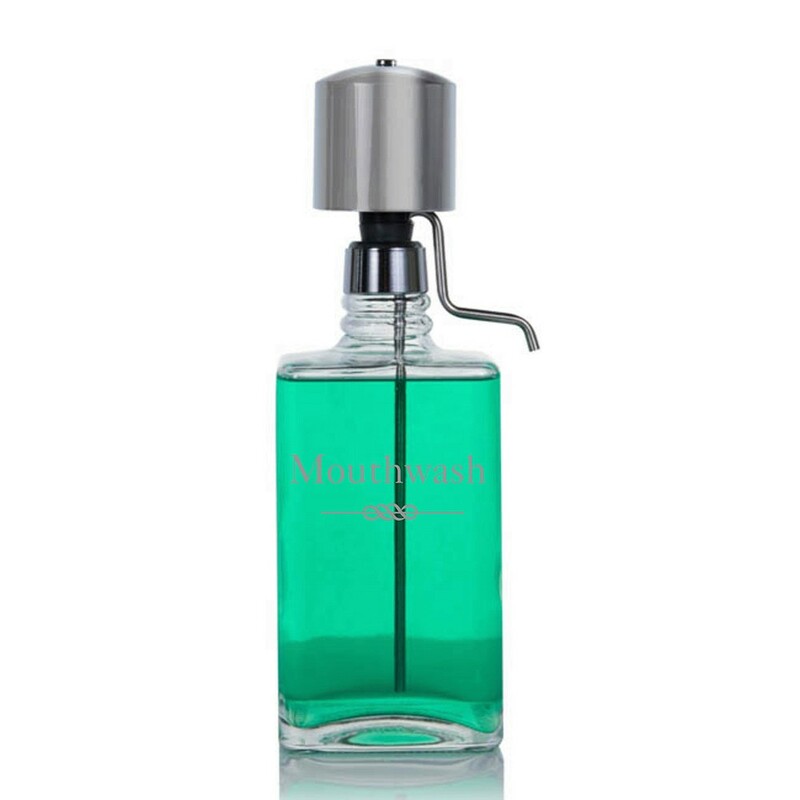 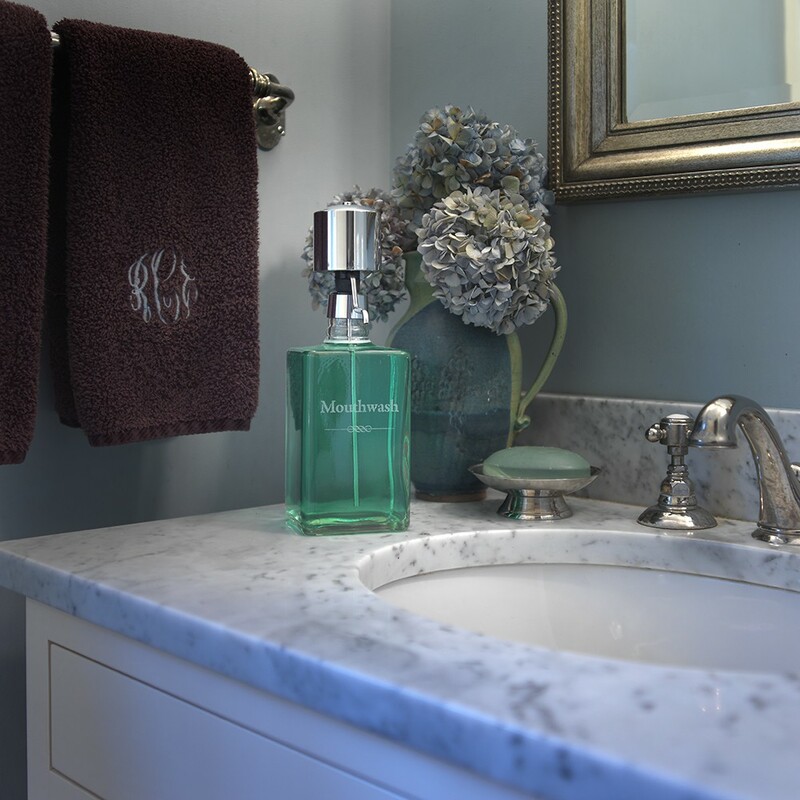 This lead free crystal mouthwash decanter is beautifully engraved with the word "Mouthwash" running horizontally Easy palm-action chrome dispenser pump measures a drop to 2 ounces and eliminates spills, waste, and drips. 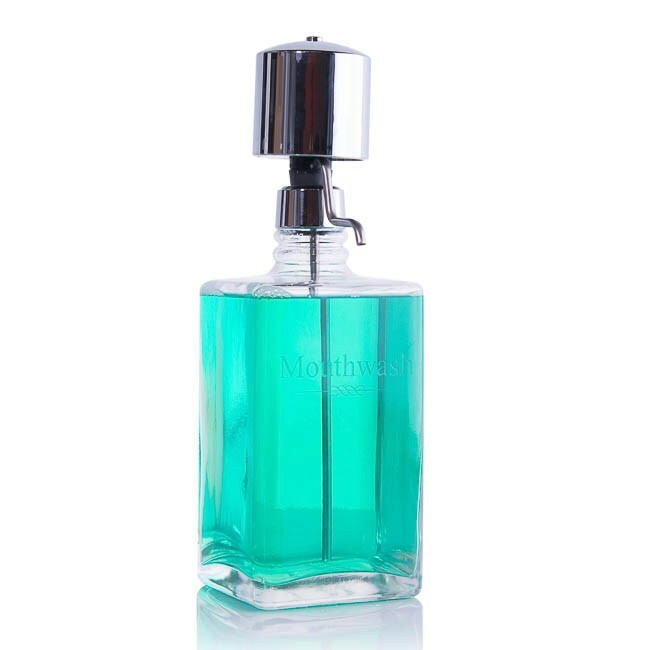 Approximate dimensions (with pump): 3.5" x 3.5" x 10.5". 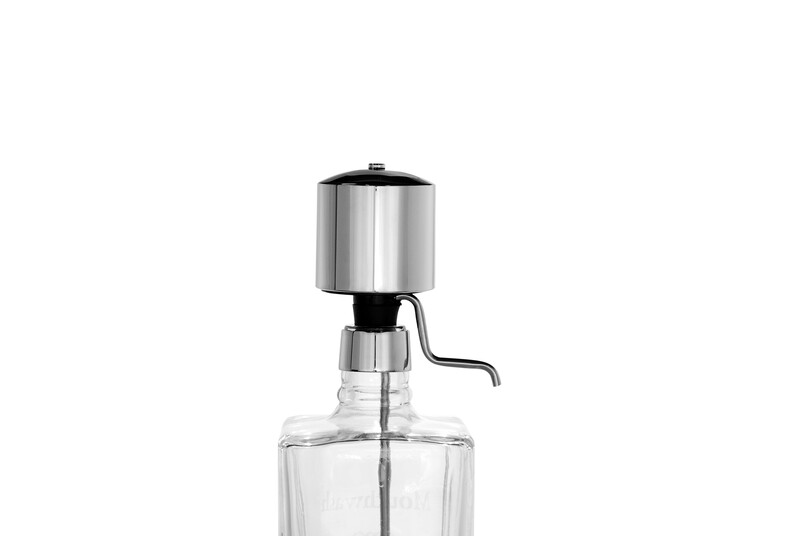 Holds 32 Ounces.